I guess my new hobby is making cooking videos at home, and I guess people like them. I’ve already had over a million views! I never expected that! But it just motivates me to make more of my little How-To vignettes in the kitchen. What really surprised me was which ones are the most popular. My number one most popular video on youtube? 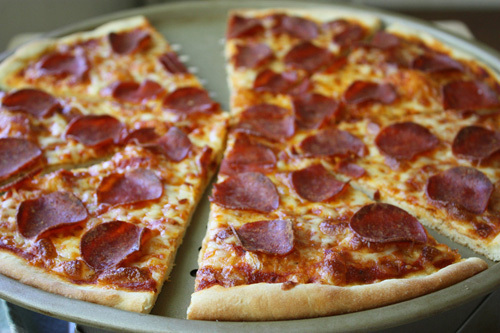 Pepperoni pizza! Well, I guess that doesn’t surprise me. Who doesn’t like pizza and my video shows a healthier way to make it. But then, the next most popular video? 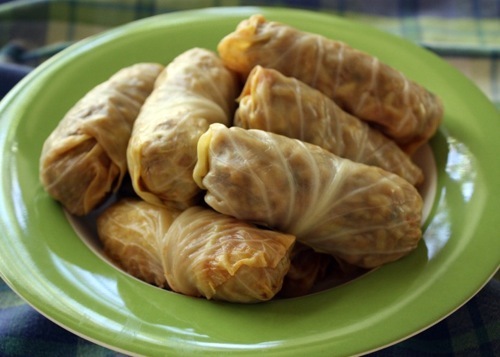 Polish cabbage rolls! This was a complete surprise. Even I don’t make them very often because they take a lot of work but I thought the process might be interesting to some people. So it seems they like it, right? Not exactly. Oh, I did receive lots of positive comments at first… from this country… but then they found my video in Poland. To me the best way to deal with offensive people is with humor. So how many Poles does it take to make a cabbage roll? Only one. But he has to make sure the cabbage is round; otherwise, it won’t even roll around once.